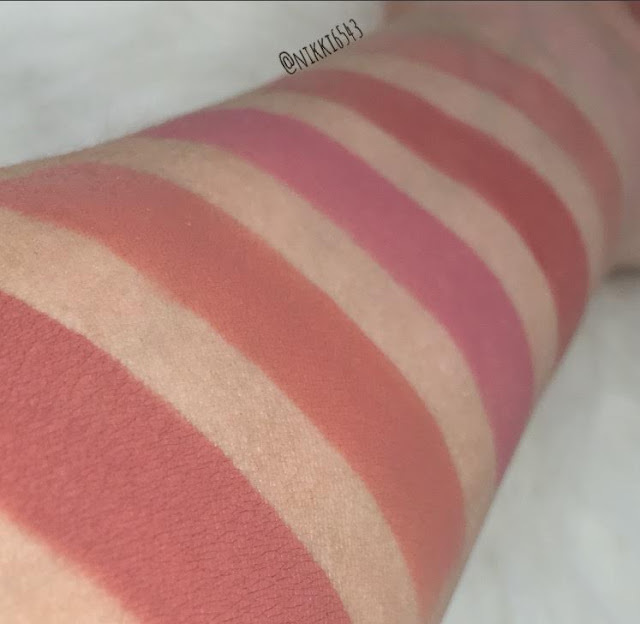 Sephora Favorites Give Me Some Lip Kit 2016 Swatches & Info - Welcome! Hey all!! Long time no talk! This summer has been a crazy one, but as soon as I saw this set was at Sephora I had to grab one and get to swatching!! 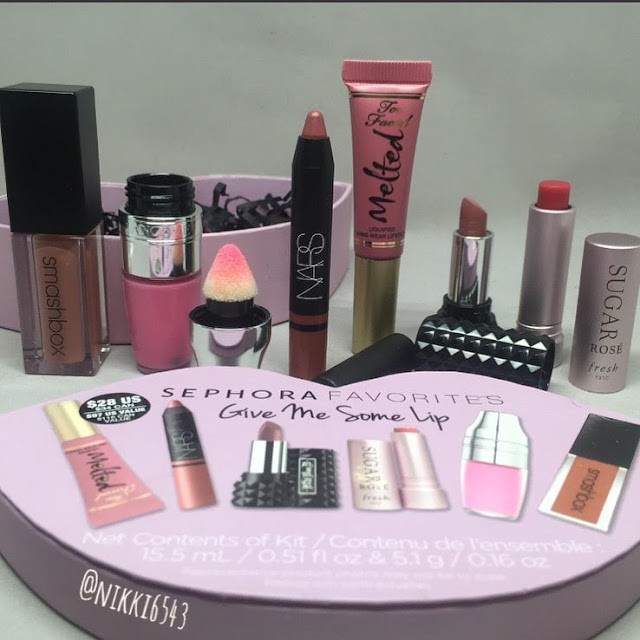 Sephora Sets are some of my favorites and this one is no exception. This can be found at freestanding Sephoras right now and hopefully online soon! UPDATE: Now Available Online HERE!! I have been dying to try the new Smashbox formula, but never got around to try any. Also, if you know anything about me I have a serious Lancome Juicy Shaker addiction! With these two items being the 2 full size in this kit it had my name all over it!! 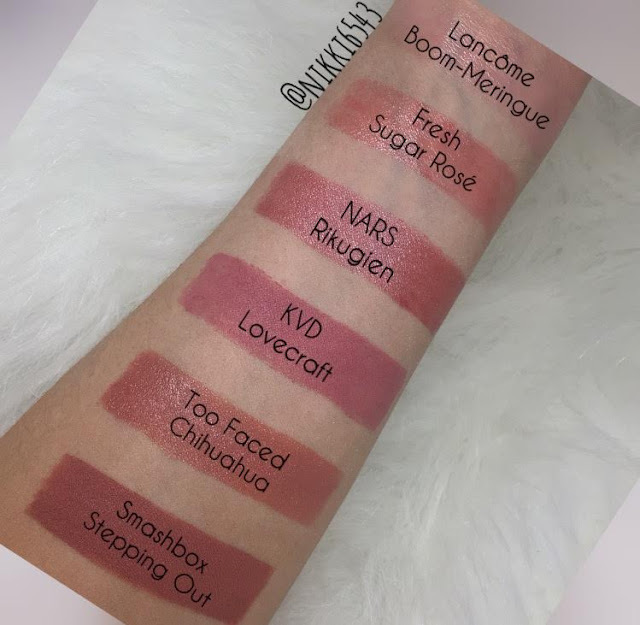 OK, less chit chat and lets get down to the facts and of course swatches!! So, here we go folks!! Of course the best part...swatches!! 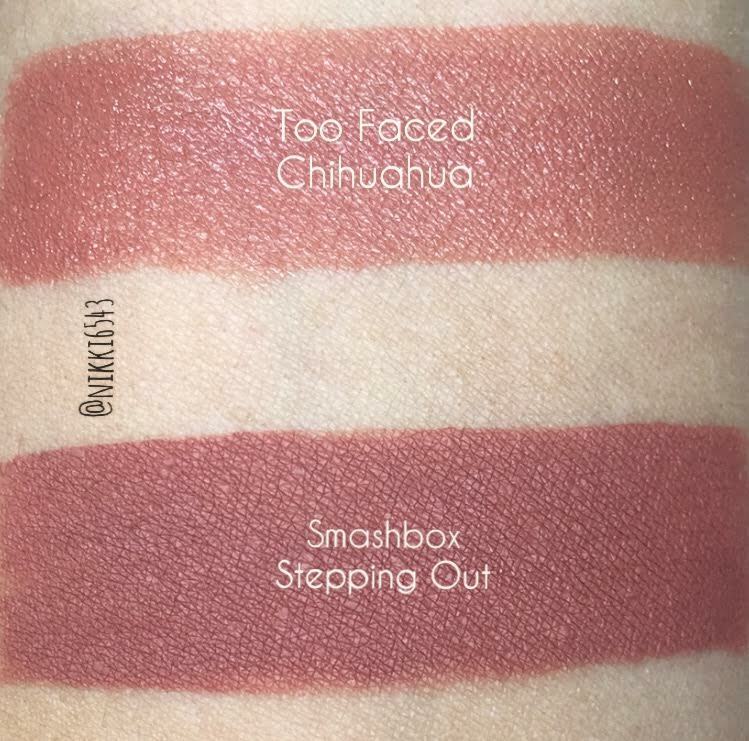 So, overall I already own the full size Too Faced in Chihuahua and I do love the formula, but its not matte and does transfer (fine with me, but just a FYI). I love the Melted for some nice color, but it does wear like a typical lipstick. They are one of my favorite formulas though and I have several of them. I have the NARS pencil from last years Sephora birthday gift and I can't lie...this is a nice pencil, but it's given as a free gift WAY too much! I think this is my third. It's a nice product, but I'm over it. The Fresh Sugar Rose I have too along with a bunch of other deluxe size ones from a gift set and I LOVE them! Rose is my least favorite though. I'm a weird gal who hates the scent of roses (shhh, I know lol!) The color is really nice on the lips and the scent dissipates, so I will still use it. 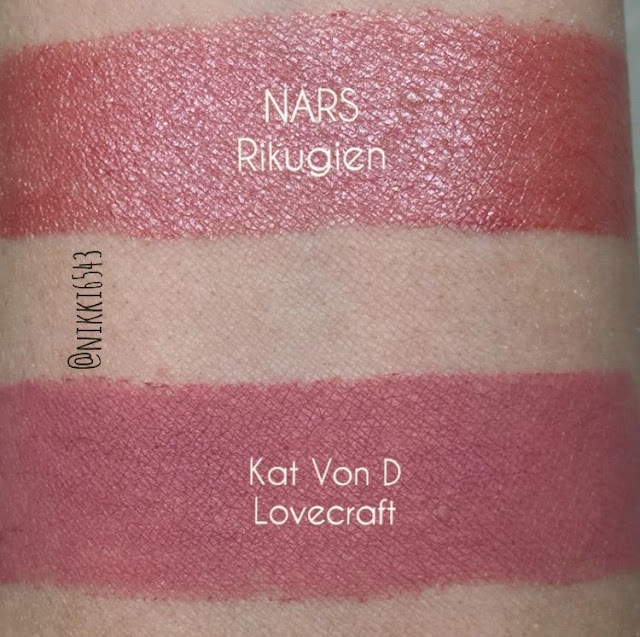 Also, KVD formula was great. It's a nice matte color that last a good amount of time. Longer then a normal lipstick, but not like her liquid lipsticks which is to be expected. Now for the piece de resistance Smashbox and Lancome! I LOVE the Juicy Shakers, but again I can't lie and I don't think anyone NEEDS them. Its a fancy lip oil, but it sure is a nice one with tons of amazing scents. I own three already, so I'm extremely happy to add this one to my collection!! They are addicting, so don't say I didn't warn you!! They wear like any typical lip oil and need to be reapplied frequently, but how can you resist shaking the little bad boy up ever hour or so and reapplying? I know I can't! Onto Smashbox, well WOW! 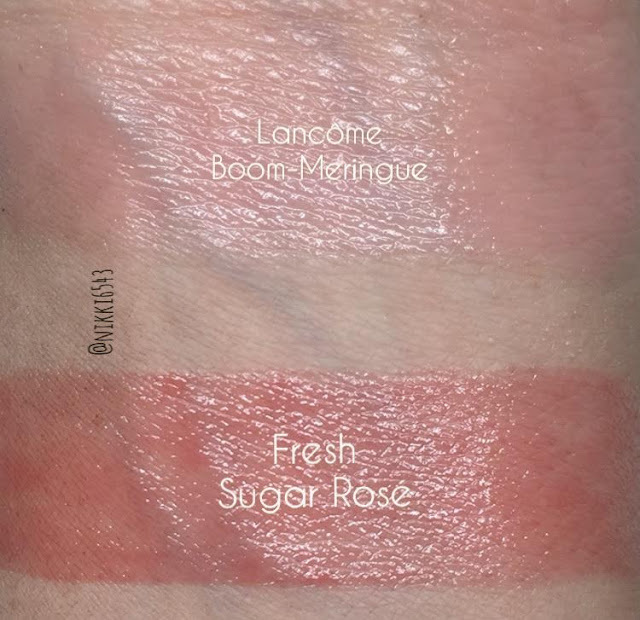 I have heard some good buzz about their liquid lipsticks, but since they were a little late to the party I couldn't justify buying another liquid lipstick when I have several dozen staring me in the face, but what an AMAZING formula!!! It's a thin moussey formula that dries very fast and last for hours. I can only speak to the color Stepping Out, but I wore it all yesterday and even when it was starting to wear down after eating and drinking it wore off nice. It might be since the lip color is close to mine, so again I can only speak to this shade. It makes me want to try out some more though!! Thanks so much for stopping by!! 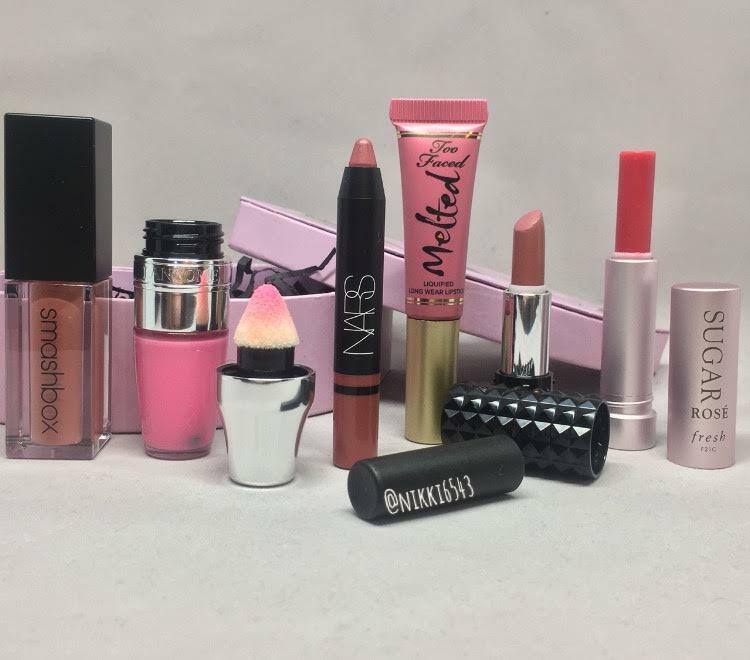 Which lipstick are you wanting to try?? Yay! Great review Nikki! I really want this! I do hope they are available online soon! I refuse to go to the store out of pure laziness lol! Thanks Lupe!! I'm glad you caught my joke haha!! I still remember their commercials still :P Also, the kit is now finally online! Woo hoo!! I think I want this just for the Juicy Shaker... but I'm too embarrassed to buy one on its own lol! These are such pretty colors though! Haha!! Yea the price is a bit crazy for a lip oil I can't lie lol! I love the shades in this set too. I don't mind wearing bold lips here and there, but my heart is always with nudes! Thank you Maria!! I always try. I'm sure it helps I'm on the East Coast, but I'm def always stalking the deals!